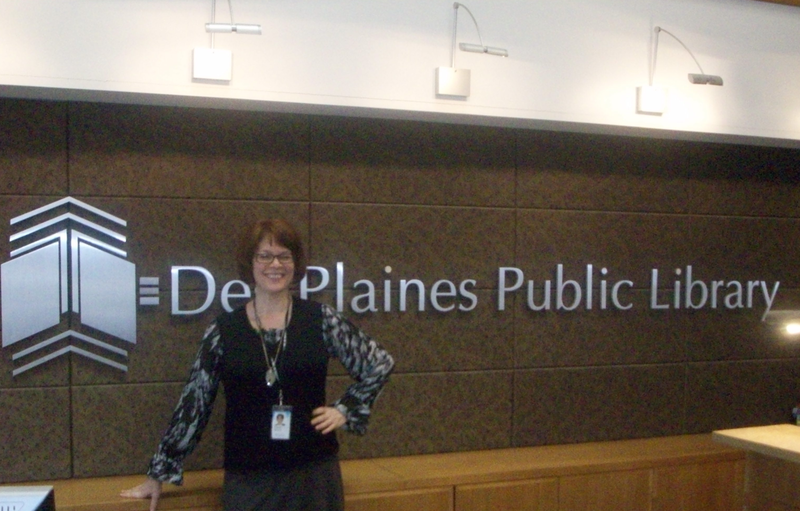 We had a chance to take a tour of the magnificent Des Plaines Library with Assistant Administrator Roberta Johnson. She showed us all around the library which boasts 80,000 sq ft and four floors of anything you can imagine. Materials in 48 different languages, free wifi throughout the building, computer classes on all sorts of business applications, study rooms, 12,000 DVDs and 12,000 CDs, foreign language books and videos, and art…everywhere!! Upon entering the atrium, you can look up to see a beautiful holographic sculpture hanging 4 stories high. 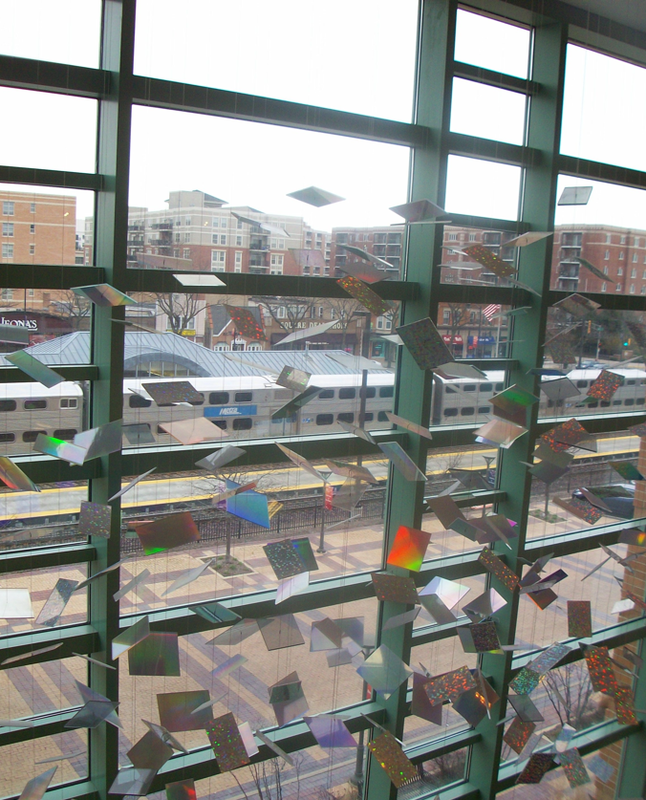 Each rectangle is stamped with a letter and reflects an array of colors all over the walls. It’s even more spectacular in the evening hours. You can grab a book and hang out on the outdoor terrace which overlooks downtown Des Plaines. It is also WiFi equipped! The 2nd floor is completely catered to the youth. Murals cover the walls telling tales, aquariums filled with exotic fish, and a tree you can climb into. 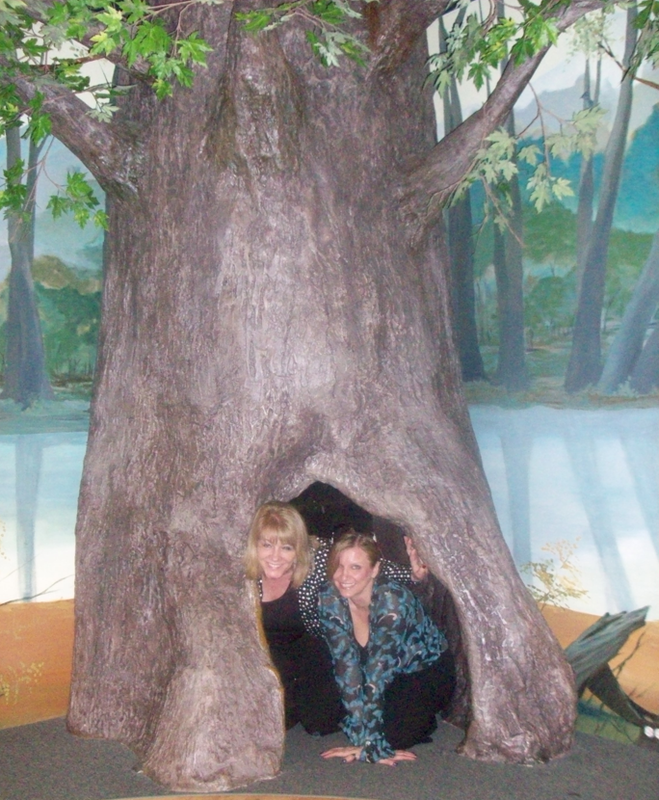 The Poet Tree is a great place for the little ones to hang out for story time and free crafts. There is even a teenage lounge area where teens can hang out and enter the reading challenge contest. There are also two book discussions per month. This is a GREAT way for our Lexington homeowners to meet new people!! Check out the Des Plaines Public Library’s website here for a schedule of events and any other information you may need. We were so enthralled with this library – we even got our own library card! !